Akbarian Saravi, N., Yazdanparast, R., Momeni, O., Heydarian, D., Jolai, F. (2018). Location optimization of agricultural residues-based biomass plant using Z-number DEA. Journal of Industrial and Systems Engineering, 12(1), 39-65. Niloufar Akbarian Saravi; Reza Yazdanparast; Omid Momeni; Delaram Heydarian; Fariborz Jolai. "Location optimization of agricultural residues-based biomass plant using Z-number DEA". Journal of Industrial and Systems Engineering, 12, 1, 2018, 39-65. Akbarian Saravi, N., Yazdanparast, R., Momeni, O., Heydarian, D., Jolai, F. (2018). 'Location optimization of agricultural residues-based biomass plant using Z-number DEA', Journal of Industrial and Systems Engineering, 12(1), pp. 39-65. Akbarian Saravi, N., Yazdanparast, R., Momeni, O., Heydarian, D., Jolai, F. Location optimization of agricultural residues-based biomass plant using Z-number DEA. Journal of Industrial and Systems Engineering, 2018; 12(1): 39-65. Co-firing biomass plants are of extensive demand due to utilization of both agricultural residues (main) and natural gas (stand-by). Researchers have shown that one strategic decision in establishment of agricultural residues based plants, is location optimization problem. Moreover, mismatch between agricultural lands and biomass plants can lead to high transportation costs and related carbon dioxide emissions. Standard indicators are considered and used for the stated multi-objective mathematical problem. This article presents a novel approach based on Z-number data envelopment analysis (DEA) model to handle severe uncertainty associated with actual data. The multi-objective mathematical model considers environmental, economic and social aspects of biomass plants. Moreover, fuzzy DEA model is utilized to verify and validate the results of Z-number DEA model through 30 independent experiments. The obtained results indicate that “accessibility to water”, “population”, “cost of land”, and “unemployment rate” are the most significant factors in location optimization of co-firing power plants. The obtained results also indicate that “Ilam”, “Semnan”, “Kohgiluyeh and Boyer-ahmad”, “South Khorasan”, and “Chaharmahal and Bakhttiari” are the optimum locations. This is the first unique approach for location optimization of co-firing plants based on combined agricultural residues and natural gas under uncertainty. Second, a unique fuzzy mathematical optimization approach is presented. Third, it is a practical approach for biomass power plants. Aleksić, Aleksandar, Stefanović, Miladin, Arsovski, Slavko, & Tadić, Danijela. (2013). An assessment of organizational resilience potential in SMEs of the process industry, a fuzzy approach. Journal of Loss Prevention in the Process Industries, 26(6), 1238-1245. Asadi, Ehsan, Habibi, Farhad, Nickel, Stefan, & Sahebi, Hadi. (2018). A bi-objective stochastic location-inventory-routing model for microalgae-based biofuel supply chain. Applied Energy, 228, 2235-2261. Azadeh, Ali, & Alem, Seyed Mostafa. (2010). A flexible deterministic, stochastic and fuzzy Data Envelopment Analysis approach for supply chain risk and vendor selection problem: Simulation analysis. Expert Systems with Applications, 37(12), 7438-7448. Azadeh, Ali, Heydari, Razieh, Yazdanparast, Reza, & Keramati, Abbas. (2016). An integrated fuzzy simulation-mathematical programming approach for layout optimization by considering resilience engineering factors: a gas transmission unit. 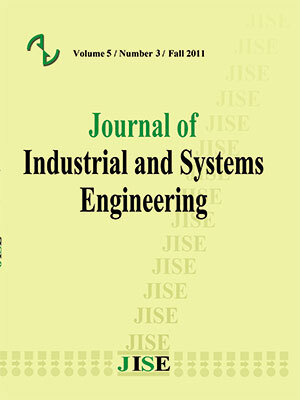 World Journal of Engineering, 13(6), 547-559. Azadeh, Ali, & Kokabi, Reza. (2016). Z-number DEA: A new possibilistic DEA in the context of Z-numbers. Advanced Engineering Informatics, 30(3), 604-617. Azadeh, Ali, Rahimi-Golkhandan, Armin, & Moghaddam, Mohsen. (2014). Location optimization of wind power generation–transmission systems under uncertainty using hierarchical fuzzy DEA: a case study. Renewable and Sustainable Energy Reviews, 30, 877-885. Azadeh, Ali, Yazdanparast, Reza, Zadeh, Saeed Abdolhossein, & Zadeh, Afshin Esmail. (2017). Performance Optimization of Integrated Resilience Engineering and Lean Production Principles. Expert Systems with Applications. Babazadeh, Reza, Razmi, Jafar, & Pishvaee, Mir Saman. (2016). Sustainable cultivation location optimization of the Jatropha curcas L. under uncertainty: A unified fuzzy data envelopment analysis approach. Measurement, 89, 252-260. Babazadeh, Reza, Razmi, Jafar, Rabbani, Masoud, & Pishvaee, Mir Saman. (2015). An integrated data envelopment analysis–mathematical programming approach to strategic biodiesel supply chain network design problem. Journal of Cleaner Production. Bai, Yun, Hwang, Taesung, Kang, Seungmo, & Ouyang, Yanfeng. (2011). Biofuel refinery location and supply chain planning under traffic congestion. Transportation Research Part B: Methodological, 45(1), 162-175. Bairamzadeh, Samira, Saidi-Mehrabad, Mohammad, & Pishvaee, Mir Saman. (2018). Modelling different types of uncertainty in biofuel supply network design and planning: a robust optimization approach. Renewable Energy, 116, 500-517. Bargos, Fabiano Fernandes, de Queiroz Lamas, Wendell, Bargos, Danubia Caporusso, Neto, Morun Bernardino, & Pardal, Paula Cristiane Pinto Mesquita. (2016). Location problem method applied to sugar and ethanol mills location optimization. Renewable and Sustainable Energy Reviews, 65, 274-282. Basu, Prabir, Butler, James, & Leon, Mathias A. (2011). Biomass co-firing options on the emission reduction and electricity generation costs in coal-fired power plants. Renewable energy, 36(1), 282-288. Bojic, Sanja, Martinov, Milan, Brcanov, Dejan, Djatkov, Djordje, & Georgijevic, Milosav. (2018). Location problem of lignocellulosic bioethanol plant-Case study of Serbia. Journal of Cleaner Production, 172, 971-979. Bueyuektahtakin, I Esra, & Cobuloglu, Halil I. (2014). A multi-criteria approach for biomass crop selection under fuzzy environment. Cambero, Claudia, Sowlati, Taraneh, Marinescu, Marian, & Röser, Dominik. (2015). Strategic optimization of forest residues to bioenergy and biofuel supply chain. International Journal of Energy Research, 39(4), 439-452. Cebi, Selcuk, Ilbahar, Esra, & Atasoy, Aylin. (2016). A fuzzy information axiom based method to determine the optimal location for a biomass power plant: A case study in Aegean Region of Turkey. Energy, 116, 894-907. Chávez, Marcela María Morales, Sarache, William, & Costa, Yasel. (2018). Towards a comprehensive model of a biofuel supply chain optimization from coffee crop residues. Transportation Research Part E: Logistics and Transportation Review, 116, 136-162. Cobuloglu, Halil I, & Büyüktahtakın, İ Esra. (2015). A stochastic multi-criteria decision analysis for sustainable biomass crop selection. Expert Systems with Applications, 42(15), 6065-6074. Cobuloglu, Halil Ibrahim, & Büyüktahtakın, İ Esra. (2014). A mixed-integer optimization model for the economic and environmental analysis of biomass production. Biomass and Bioenergy, 67, 8-23.
d’Amore, Federico, & Bezzo, Fabrizio. (2016). Strategic optimisation of biomass-based energy supply chains for sustainable mobility. Computers & Chemical Engineering, 87, 68-81. Davtalab, Mehri, & Alesheikh, Ali Asghar. (2018). Spatial optimization of biomass power plant site using fuzzy analytic network process. Clean Technologies and Environmental Policy, 1-14. Dong, Chen, Shao, Lingzhi, Fu, Yuming, Wang, Minjuan, Xie, Beizhen, Yu, Juan, & Liu, Hong. (2015). Evaluation of wheat growth, morphological characteristics, biomass yield and quality in Lunar Palace-1, plant factory, green house and field systems. Acta astronautica, 111, 102-109. Gonela, Vinay, Zhang, Jun, Osmani, Atif, & Onyeaghala, Raphael. (2015). Stochastic optimization of sustainable hybrid generation bioethanol supply chains. Transportation Research Part E: Logistics and Transportation Review, 77, 1-28. Hartman, Jeffrey C, Nippert, Jesse B, Orozco, Rebecca A, & Springer, Clint J. (2011). Potential ecological impacts of switchgrass (Panicum virgatum L.) biofuel cultivation in the Central Great Plains, USA. biomass and bioenergy, 35(8), 3415-3421. Heydari, Ali, & Askarzadeh, Alireza. (2016). Optimization of a biomass-based photovoltaic power plant for an off-grid application subject to loss of power supply probability concept. Applied Energy, 165, 601-611. Ivanov, Boyan, & Stoyanov, Stoyan. (2016). A mathematical model formulation for the design of an integrated biodiesel-petroleum diesel blends system. Energy, 99, 221-236. Leduc, Sylvain, Lundgren, Joakim, Franklin, O, & Dotzauer, E. (2010). Location of a biomass based methanol production plant: a dynamic problem in northern Sweden. Applied Energy, 87(1), 68-75. Maheshwari, Prateek, Singla, Sugandha, & Shastri, Yogendra. (2017). Resiliency optimization of biomass to biofuel supply chain incorporating regional biomass pre-processing depots. Biomass and bioenergy, 97, 116-131. McKendry, Peter. (2002). Energy production from biomass (part 1): overview of biomass. Bioresource technology, 83(1), 37-46. Moller, Rosa Maria. (2005). Brief on biomass and cellulosic ethanol: California Research Bureau. Murena, Fabio. (2004). Measuring air quality over large urban areas: development and application of an air pollution index at the urban area of Naples. Atmospheric Environment, 38(36), 6195-6202. Perpiña, Carolina, Martínez-Llario, José Carlos, & Pérez-Navarro, Ángel. (2013). Multicriteria assessment in GIS environments for siting biomass plants. Land Use Policy, 31, 326-335. Sander, Bo. (1997). Properties of Danish biofuels and the requirements for power production. biomass and bioenergy, 12(3), 177-183. Shen, Xinhua, Kommalapati, Raghava R, & Huque, Ziaul. (2015). The Comparative Life Cycle Assessment of Power Generation from Lignocellulosic Biomass. Sustainability, 7(10), 12974-12987. Shukla, S, Hendricks, G, Helsel, Z, & Knowles, J. (2013). Water Use and Quality Footprints of Biofuel Crops in Florida. Paper presented at the AGU Fall Meeting Abstracts. Tan, Sie Ting, Hashim, Haslenda, Rashid, Ahmad H Abdul, Lim, Jeng Shiun, Ho, Wai Shin, & Jaafar, Abu Bakar. (2018). Economic and spatial planning for sustainable oil palm biomass resources to mitigate transboundary haze issue. Energy, 146, 169-178. Tong, Kailiang, Gleeson, Michael Joseph, Rong, Gang, & You, Fengqi. (2014). Optimal design of advanced drop-in hydrocarbon biofuel supply chain integrating with existing petroleum refineries under uncertainty. Biomass and Bioenergy, 60, 108-120. Van Dael, Miet, Van Passel, Steven, Pelkmans, Luc, Guisson, Ruben, Swinnen, Gilbert, & Schreurs, Eloi. (2012). Determining potential locations for biomass valorization using a macro screening approach. Biomass and Bioenergy, 45, 175-186. Vera, David, Carabias, Julio, Jurado, Francisco, & Ruiz-Reyes, Nicolás. (2010). A Honey Bee Foraging approach for optimal location of a biomass power plant. Applied Energy, 87(7), 2119-2127. Yager, Ronald R. (2012). On Z‐valuations using Zadeh's Z‐numbers. International Journal of Intelligent Systems, 27(3), 259-278. Zadeh, Lotfi A. (2011). A note on Z-numbers. Information Sciences, 181(14), 2923-2932. Zhang, Fengli, Johnson, Dana M, & Sutherland, John W. (2011). A GIS-based method for identifying the optimal location for a facility to convert forest biomass to biofuel. biomass and bioenergy, 35(9), 3951-3961. Zhang, Jun, Osmani, Atif, Awudu, Iddrisu, & Gonela, Vinay. (2013). An integrated optimization model for switchgrass-based bioethanol supply chain. Applied Energy, 102, 1205-1217. Zhou, Shun, Zhang, Yong, & Bao, XiangTai. (2012). Methodology of location selection for biofuel refinery based on fuzzy TOPSIS. Paper presented at the 2012 IEEE International Conference on Automation and Logistics.